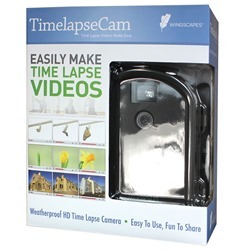 Keep track of all the animal activity in your garden with our range of wildlife cameras. Never miss a glimpse of your garden visitors, and spot even the most elusive creatures! If you’re a keen wildlife enthusiast, who would like to extend their usual animal observation abilities, then why not invest in a specially designed, wildlife camera? Available with a range of features, our wildlife cameras can be used in a multitude of outdoor areas, to record activity from birds and mammals who visit your outside space! For our bird enthusiasts, we have specialised bird box cameras, which are ideal for keeping an eye on nesting birds and their young! 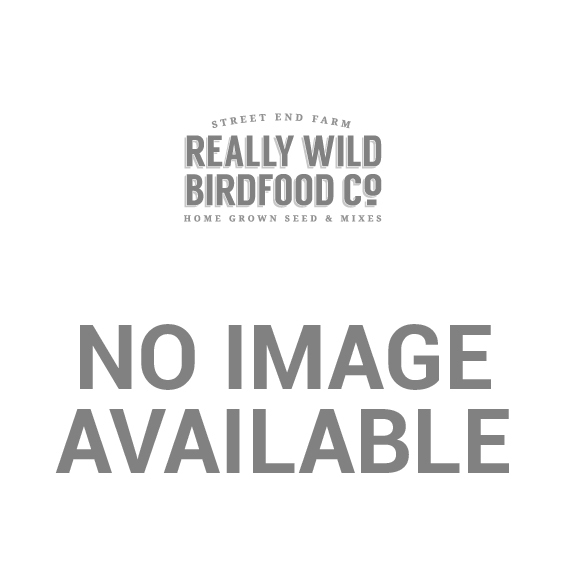 If you would like to fit it into an existing box or outdoor area, you may wish to choose an adaptable bird box camera to suit your current setup. 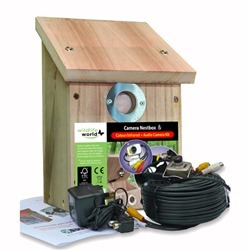 For those who would like to start from scratch, we also supply bird box camera kits, which provide everything you need to set up a viewable nest! Do you need more information about our wildlife cameras and how to use them? Get in touch with our friendly team today via our contact page. 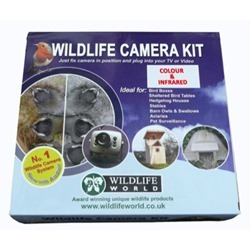 Wildlife Camera Kit - High Definition Just fix camera in position and plug into your TV or Video! Wildlife Camera System incorporating Camera Nestbox Something all the family can enjoy.